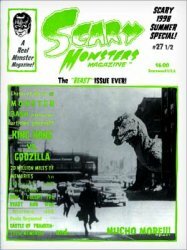 This is the 27th and One Half issue of Scary Monsters, published in June 1998. Each copy is new, uncirculated. Two-color cover and 66 B&W pulp inside pages. Collectors Note: Each copy is new, uncirculated.